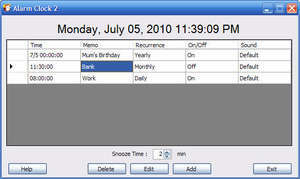 With its easy to use interface and its powerful features, Free Calendar is a valuable addition to your desktop. For security reasons, you should also check out the Free Clock / Calendar download at LO4D.com which includes virus and malware tests. Additional screenshots of this application download may be available, too. 2.25 out of 5 based on 4 ratings. free Calendar has a presence on social networks.